My Puppy is Throwing Up. What Do I Do? My puppy is eating poop! Help! what do I do? 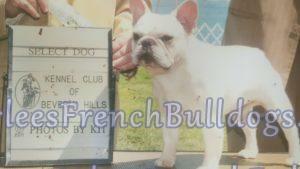 Best Pet Friendly Places in San Diego to Visit with Your French Bulldog Puppy! Do I need a big house to properly care for a Frenchie? How often should I bathe my French Bulldog puppy and what are their grooming needs? New puppy parents often ask the question about the grooming needs of their new child. There are myriad of grooming products on the market. Some of them are better than others, some can even cause allergy. It is not easy to navigate thru them, if you do not know anything about them. The best way is tools for more natural products which have oatmeal in them. The products which have been around for a long time. The good resource will be the breeder . Before doing any of this of course it is important to first understand your french bulldog pups bathing and grooming requirements and also establish a routine to follow them regularly. A grooming routine will also make sure your French Bulldog pup is used to and even enjoys bathing and grooming as he or she matures to adulthood. Since pups are small still and their body clocks and internal natural temperature regulation body systems are not completely mature yet they catch chills easily. This is more so in case of french bulldog puppies as they have only one coat, a topcoat unlike most other dog breeds who have two coats a top coat and an undercoat to keep them warm. 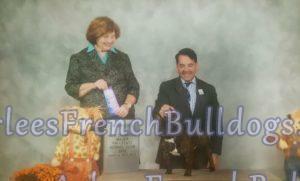 Consequently two things are very important while deciding on the bath schedules of your french bull dog puppy. Firstly the frequency of baths and secondly a thorough post bath drying down. Most pet owners choose to bathe their french bull dog puppy with water and soap / shampoo once a month or once in a fortnight (every two weeks or so). In between that dry shampoo is a good way to maintain puppy hygiene. Dry shampoo is a very good tool, but it is very important to choose the right ones well. It is not really the best way to keep the puppy clean, a quick bath is a better way rather than a dry shampoo. But some people prefer it because i is very convenient. If of course your french bull dog puppy is dirty after playing outside he needs a bath even an unscheduled one. A good person to check with for advice on frequency of baths is your vet. Also it’s a good idea not to use detergent or any harsh chemicals or antiseptics or anti pest shampoos to bathe your french bulldog puppy. Dish washing soap such as “Dawn” can be used. It is very effective and washes the dirt and grease off quite easy. It’s best to stick to dog products made especially for dogs including..
prescribed by your vet. Of course nothing like natural products which are the best, don’t try any home made remedies unless they are from an experienced pet owner. Secondly it’s important to dry your pup thoroughly although most dogs in any case shake off excess water as soon as they come out from a bath but in case of younger pups like your french bulldog puppy it’s a good idea to have a bath towel to pat dry the french bulldog puppy too. During the bath, it is also important that the water will not go into puppy’s ears. I use cotton balls to put into the ears, not deep, of course, but to protect from water. Also, highly folding the ears will work, when you are washing the puppy. The next on our schedule is grooming needs which would include brushing the french bulldog pups coat, checking eyes, brushing teeth and checking gums while doing so and clipping nails. Teeth should be clean and free from any parasites and deposits of food. Gums should be healthy and pink. Regular brushing of teeth is important as it’s also important to get your french bulldog pup used to you putting your hand in their mouth or opening their mouth at an early age. 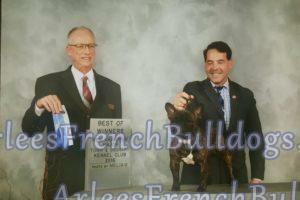 This will lead to easy brushing / cleaning of teeth and giving medicine as the french bull dog puppy grows into adulthood. In case a french bulldog is not used to this although they are usually very sweet tempered they could maybe snap at you or even bite you when you try to do this later as they grow older. There are also products on the market which you can add to a water supply . It cleans their teeth and it is very helpful to the gums. It is called Oxyfresh. I have been using it for years and it works very well. Even if you stop using it and then you see tartar built up and bad breath—several days of using it, will fix it right up. The french bull dog puppy’s coat should be shiny and soft to touch. You need to look out while grooming for..
Brushing is another great way to reduce fur shedding too. Regular trimming of nails is important both for the well being of your french bull dog and also for your furniture and your own body to avoid scratches all over. You could do this yourself at home with the proper pet nail clipping tools or can choose for a grooming professional to visit your home and take care of this for you. Often, if you walk a lot with your dog, the nails will be short just because of walking on a hard surface. Some of my dog’s nails are short just from walking on a hard surface, but some, I have to trim regularly. Copyright © 2017 www.arleesfrenchbulldogs.com . All Right Reserved.